Students should visit the University website for online verification. The verification portal shall be open from June 6 – 20, 2018. 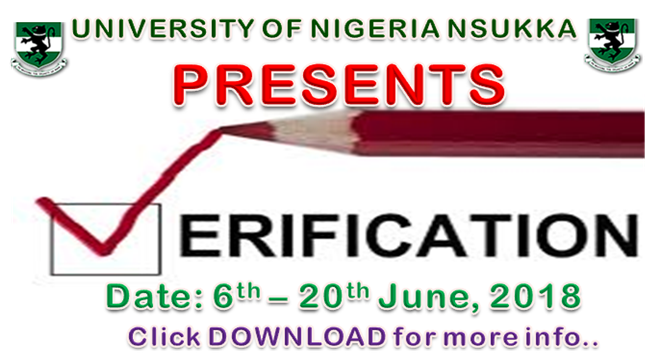 Students should complete the online verification form and print the Exam Admit Slip. Exam Admit Slip should be submitted to the Student’s Department for Manual Verification and Authentication before 21st June 2018. Students will be required to present the authenticated Exam Admit Slip for Second Semester 2017/2018 Examinations. For further clarification, please contact your Departmental Higher Technical Officer Coordinator or ICT Rep.